Get your medicines at your doorstep at extremely reasonable price only with 1mg. Place an order now for all kinds of medicines and other essential health care products without visiting to any medical store. 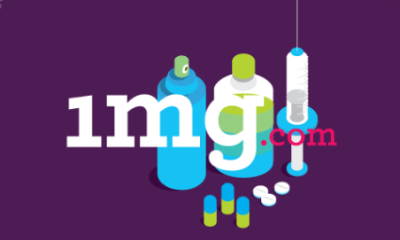 Just logon to 1mg.com and get your medicines online. You can also ask for the health related issues and subscriptions for the medicines. Also book an appointment with specialized doctors only at 1mg. Make it more easy by downloading 1mg App to get medical facilities instantly. Visit here to go to the offer page. Select your products and add to cart. You will get 20% off on your bill. Offer is valid till 29th Feb 2016. Minimum order amount to avail discount is Rs.1000.